Bovine TB is an unlikely inspiration for an accessories business, but one Herefordshire couple has decided that it is best to meet adversity with optimism. Mike Hanson from Home Farm, Eardisland, has lost more than a quarter of his herd of British Blue and Limousin cross cattle to TB over the past 10 years. 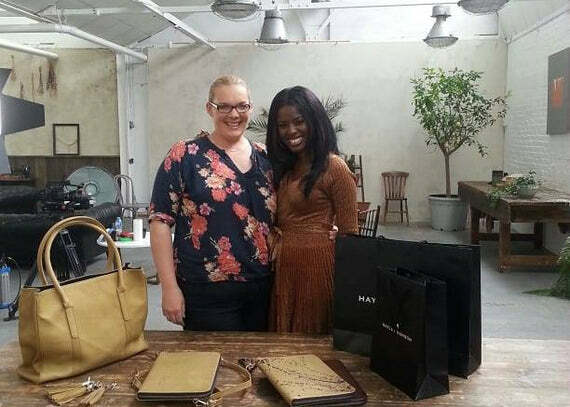 But being shut down with TB led his then-fiancee Hayley to develop an inspirational idea and last summer she set up Hayley Hanson Hide, a company retailing 100% British hide and accessories. After searching for a cattle hide rug, Hayley was shocked to find they were all imported from Argentina and realised there was a gap in the market for a company which sold British-grown hides. “To start off, it was a way of adding value, because everything we sell has to go to slaughter and I also wanted to promote British produce while raising awareness of the devastating affects of TB,” Hayley explains. 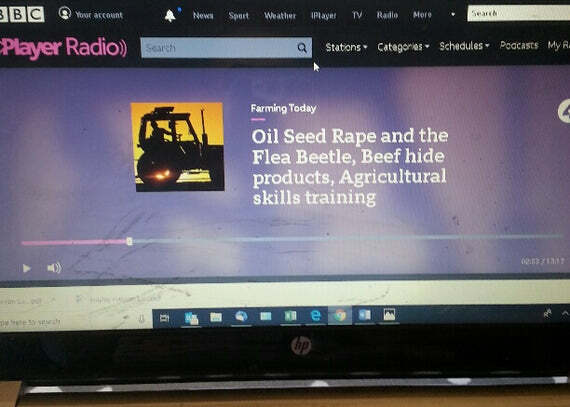 They currently make products out of hides from their own fatstock cattle and offer a tanning service for hides supplied by the customer, but the couple now hope to use their own animals that have to be killed as a consequence of bTB and have retained a waste licence to start the ball rolling. In less than 12 months the couple, who are now married, have developed the business to sell a small range of belts, bags, rugs and accessories. Each item is individually crafted using different types of hide to get different effects. From farm to finish, the product can take up to eight weeks to create. First, the cattle are taken to the slaughterhouse in Gloucester, where they are killed before Hayley picks up the hides. She then takes them to a local tannery, where they are salted to draw the moisture out and excess fat is scrapped off the skin. “It’s quite difficult to do with the skin still on, but as soon as you’ve taken the skin off the hair starts to die, so you have to do it quite quickly,” Hayley says. The hides are then chrome-tanned with chemicals to strip them clean, before being hung up to dry, then skilfully handcrafted into the end result. Hayley’s signature products include a chocolate shoulder bag costing £229; an envelope-shaped evening bag, decorated with black and white Galloway hide, for £150; and a cappuccino-coloured satchel bag, which retails at £139. Exclusivity is a significant selling point and each bag can be made to order and even the hide can be hand-picked – making each design utterly unique. Every bag is also designed with practicality in mind and comes equipped with pockets and pouches for phones and keys. “You can go to any high street store and buy a bag for £20, but you will never see another person with a bag like mine,” says Hayley. Other popular products are Hayley’s bespoke leather belts, which range from £55 to £70 and have a special fitting that allows you to change the buckle for a different look. So stylish are the designs, that many Herefordshire Young Farmers club members can now be found wearing them! Listening to Mike and Hayley talk, it is clear they are passionate about their cattle, so it’s not surprising animal welfare takes priority. “The primary objective is the animal, and they’re only killed when they’re ready for slaughter. It will always be that way,” Mike insists. Traceability remains the foundation stone of the business’s ethos and each hide sourced can be traced back to the animal it came from. “It’s that kind of moral conscience. You’re not compromising because something looks pretty but the animal may have had a bad life. “It’s so much better, because you know exactly the kind of life it has had. Our cows have been killed properly to British standards – not walloped on the back of the head with a sledge hammer,” Hayley says. Hayley’s clear vision and strong advocacy for British farming is part of the reason she has already turned down an offer for her hides from the department store John Lewis. The business is still in its early stages, but Mike and Hayley are already planning ahead – the next step, they say, is setting up their own tannery and shop. Although Mike admits it would be great to go clear of TB, the couple remain refreshingly optimistic about the future, whatever the outcome of their next TB test may be. Read original article in Farmers Weekly.